In 2004, a county-wide Smart Growth Implementation Committee was established that reviewed the principles of Smart Growth in relation to the issues facing Volusia County. That committee produced a report that broke the recommendations into seven subject areas or elements (listed below), 15 “keystone” recommendations and 49 additional recommendations that would implement the principles of Smart Growth in Volusia County. The actions taken so far on each element are also presented. The entire report is included on the City’s Planning web page. Protect the Environmental Core – VCOG prepared a map that identified the primary areas to be preserved from development. 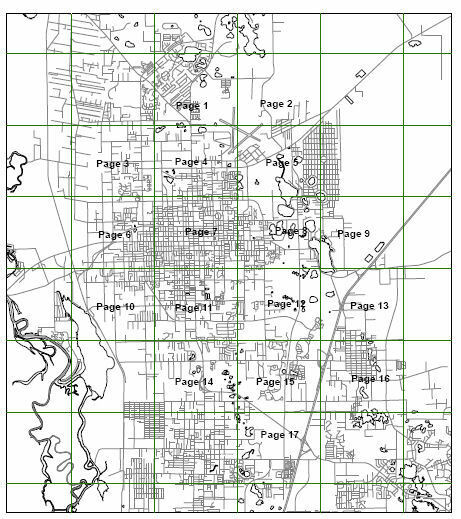 The map was originally titled simply Map A, now it is referred to as the ECO map (Environmental Corridor Overlay map). A VCOG Smart Growth subcommittee is also working on a model for conservation subdivisions that would be utilized by developers in and near ECO lands. Appropriately direct development – A VCOG Smart Growth subcommittee has been reviewing the concept of transferable development rights (TDR’s). Develop livable communities – will be developed individually by each local jurisdiction. Ensure the continued existence of agriculture – Agricultural lands are now included in the ECO lands. Meet the infrastructure needs of growth - A VCOG Smart Growth subcommittee has been reviewing the concept of joint planning agreements (JPA) to ensure that growth in and around cities can be accommodated. Integrate education – all cities and the county continue to participate in the school board’s Public Facilities Planning Committee. Integrate economic development – an on going effort throughout the county. The City of DeLand 2050 Vision Plan is intended to be strategically aligned with smart growth principles. The general principles of Smart Growth will be used in combination with the elements of the Smart Growth Initiative of Volusia County. The full text of the report can be viewed by clicking here.